Employment Generation Program: We are also starting employment generation program at TWEP for Graduates; Under Graduates; 12th Pass; 10th Pass or 8th pass. Kindly share your detailed bio-data with us if interested employment at info@trishul-ngo.org ; you may also share it with your friends who may be interested. Opportunity with one of the leading corporate into retail business for their new outlet near Bandra West. Job Description: Salesperson on the floor. Gross Salary expectation: Around Rs.10,000/- plus sales incentive. Asst. Manager Retail Store or Manager Retail Store. And will undergo a comprehensive 6 months training. बांद्रा पश्चिम जवळील नवीन दुकानासाठी रिटेल व्यवसायात अग्रगण्य कॉर्पोरेटचा एक संधी. एकूण वेतन अपेक्षाः सुमारे रु .10,000 / - आणि विक्री प्रोत्साहन. सहाय्यक व्यवस्थापक किरकोळ स्टोअर किंवा व्यवस्थापक किरकोळ स्टोअर. आणि एक व्यापक 6 महिने प्रशिक्षण घेतील. Free Summer Camp for Children at Trishul (NGO). Dates: April 11th to May 3rd; May 21st to June 21st 2019. 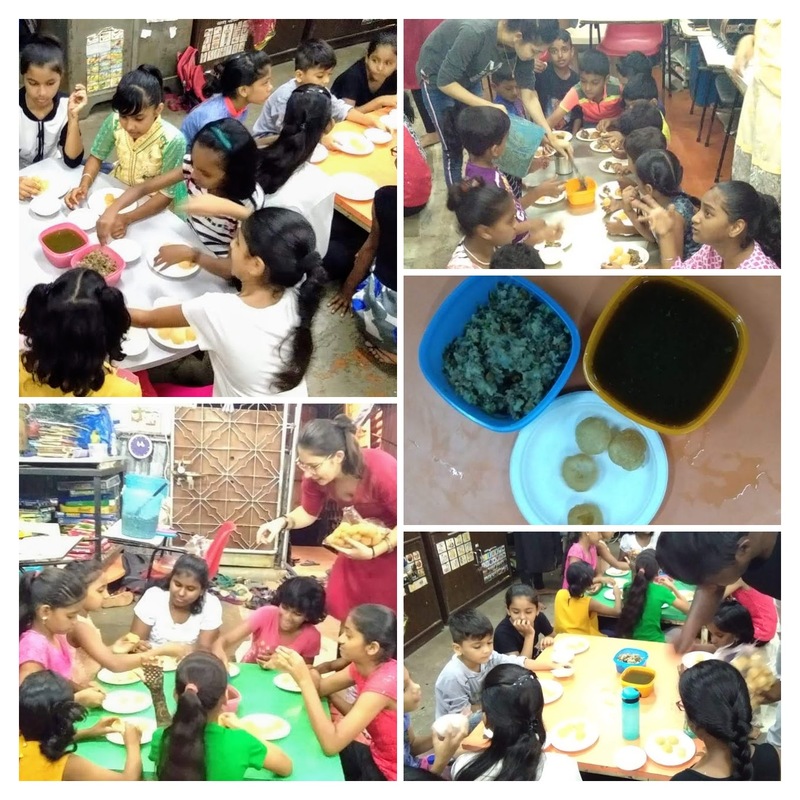 Orientation on the making of Pani Puri and Pani Puri Party - by Amelia (Volunteer from Italy). Introduction to Puppetry (Types of Puppets; and History). Every day that goes by, more women and children’s futures slip away. If we don’t act now, we risk two generations being left behind - at the same time. Improvements in the status of women has often been shown to have positive impacts on their children, with increased investments in schooling, nutrition, and health. Yet in order to best target policies and investments, it is important to understand the nuances in a particular context, to better target where improvements may have maximum impact. Women empowerment has become a significant topic of discussion in development and economics. It can also point to the approaches regarding other trivialized genders in a particular political or social context. It is only through education that social transformation and economic freedom can be sought. Today, women are leaders who epitomize the human values of caring, sharing and re-building societies free of stress and violence. trishul has been the frontrunner in empowering women as well as children from economically weak families through skill development and education since its foundation in 1988 in versova, Mumbai. Team Trishul (NGO) comprises of Working and Consulting Committee Members; Internal Team of full time / part time Coordinators; Faculties; Support team; Artisans from Women Empowerment; Associate Expert Trainers from Industry; CSR Support Corporate Companies; Team of Volunteers (From Corporate and Students; Friends); Associate companies and Associate Social Entrepreneurs helping in Livelihood generation etc. 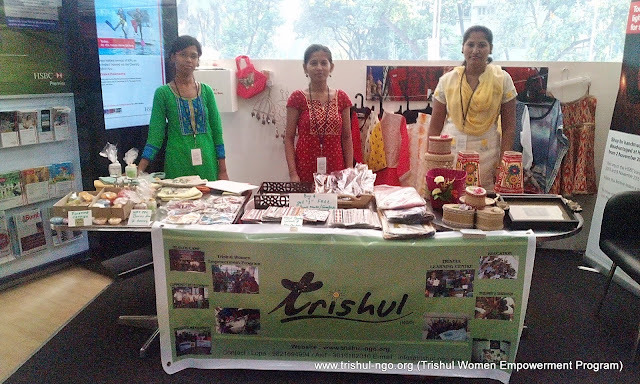 Trishul has worked relentlessly through various skill development programs to enable women in creating sustainable livelihood generation methods and has also provided holistic education methods to the children. Over the last two decades, they have helped improve the quality of life for more than 50,000 families in the surrounding areas. A registered charitable organization working towards building self-sustainable communities through skill development, education and livelihood programs in urban slums and economically weak rural villages in India. Core programs focus on empowering Women through skill development and empowering children through education. Over last two decades, completed several projects in the areas of hygiene and sanitation, waste management, education, health and nutrition, disaster management, youth empowerment and environment conservation. 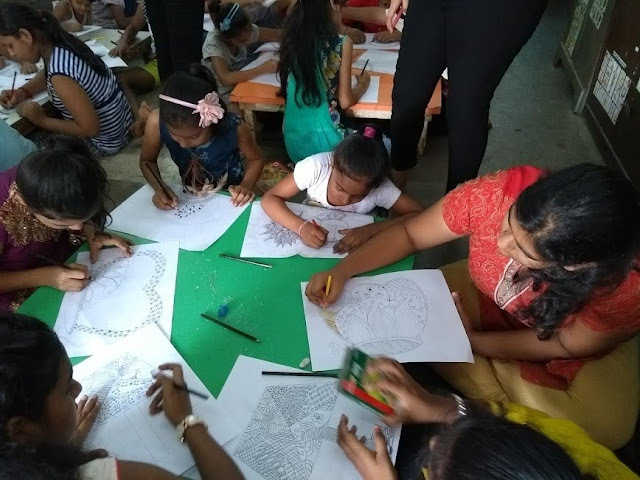 To create a platform that develops and nurtures self-sustainable communities in urban slums and economically backward rural villages with primary focus on women and children. · Empower women from urban slums and economically weaker communities from rural villages through skill and capability development. · Assist women in livelihood generation and improving quality of life. 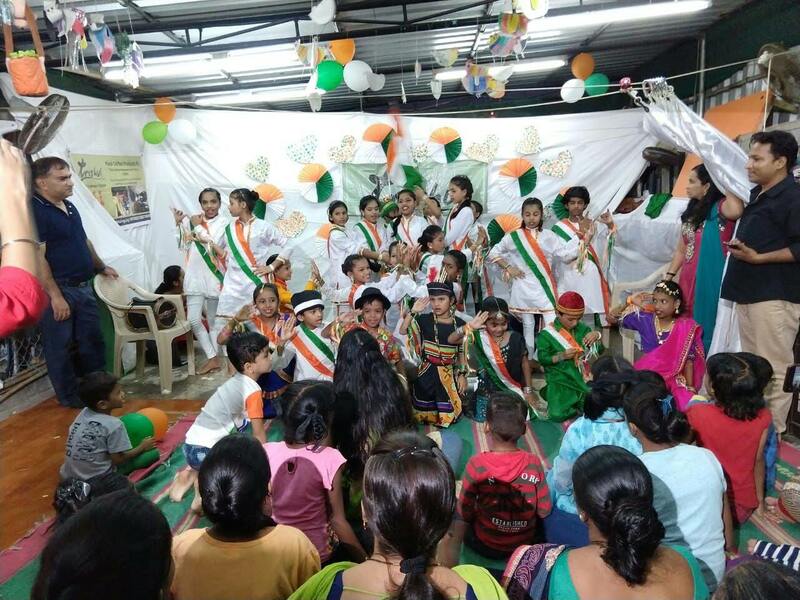 · Impart knowledge and life skills to children from urban slums and economically weaker rural communities through holistic learning program. · Empower youth through skill development workshops; mentoring and coaching sessions; and generating career opportunities. · Inculcate healthy and hygienic habits among less-privileged communities. · Facilitate waste management in urban slums through recycling and up-cycling. · Create awareness on and prepare citizens for disaster management. · Build self-sustainable communities in rural areas (model village). My overall experience in TRISHUL was a different kind of experience in my life doing a social work is a different feeling when you do it and we people never make out time for such kind of experience thanks to my sociology teacher who gave us such a beautiful project where we faced something new in our day to day life. 10 days passed very fast and we love to make the students study in the NGO. The NGO consist of two branch (WOMEN AND CHILDREN CENTER) We mostly worked with the children center the children center was quite big there were four tables the students and the volunteer were divided into that many equipment, teaching aids, games, and story books were there. The students used to study with dedication motivation and love and also most of them were from the Marathi medium they were weak in English subject so I basically took reading books, story books, difficult dictation words from the books Also 7:45 its game time in that we taught them many games which they don’t know how to play. The students were so nice and encouraging last day I told them bye with happy faces and also some of them took number of mine and told me to be in contact with me and soon come again back. It was a very enthusiastic experience of mine will miss these memorable moments. I will miss all of my student very much. 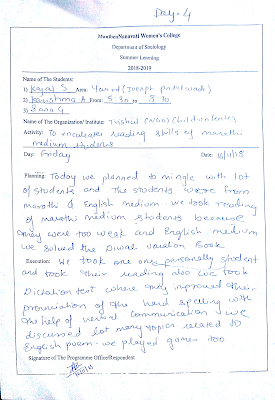 My experience in TRISHUL was a good. I taught the English words which were difficult for them to understand and also explain them the meaning of it. Dictation words from the story was taken by me. I also explained them opposite words and made them write it down. There were few children in my group of students were cute and understanding. Math also was taught to the 2nd standard children like addition, subtraction by drawing the item and telling them to count and add them. I played with them various games like business, scrabble, and board games like crossword were also played. On our last day of volunteering after the games we bought for them snacks and soft drinks they were enjoying it in the end the head of the NGO visited us and gave us the certificates and we told them bye with happy faces. Kajal Sangoi: The environment and surroundings of NGO was very pleasant. Staff was very helpful and encouraging. Experience of teaching in NGO is one of its kind. Very different and enthusiastic, it’s like a beautiful change in my day to day routine. Adding a new activity leading towards social change. Karishma Agarwal: It was actually my first teaching students and children’s, it was fun, and I enjoyed a lot with them. This was a different kind of experience. Sana Ghodke: First day was nice the NGO was nice the sir and teachers and the students were very good. 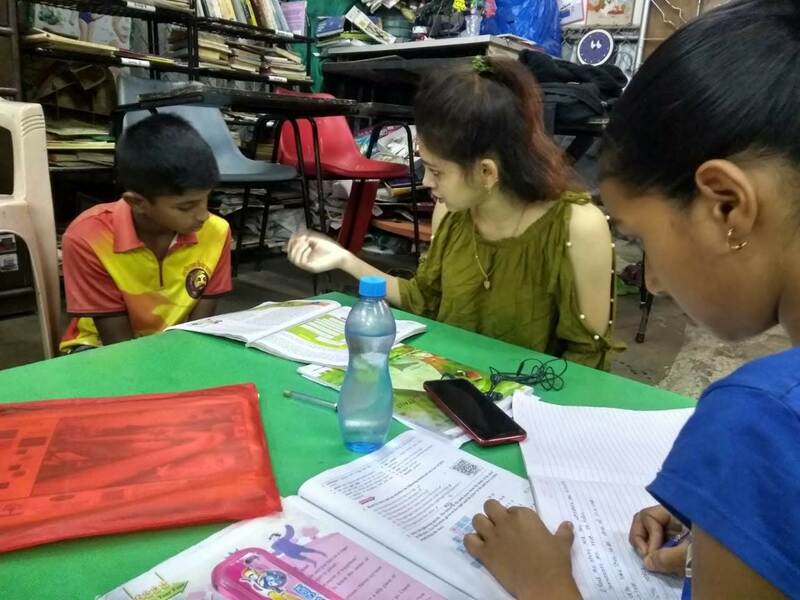 Kajal Ghodke: My 2nd day experience was quite more interesting 2 of more children showed their interest and gathered with me to do study. They also talked with me and told me how their day went. they were also taking interest and involvement in the studies. Doing social work is some kind of different feeling and different work which you never experience in day to day life. At the end of the day we also played and some other games and one thing I like about the students is that they don’t need more guidance some of the activity they do by themselves and it is a very good thing. 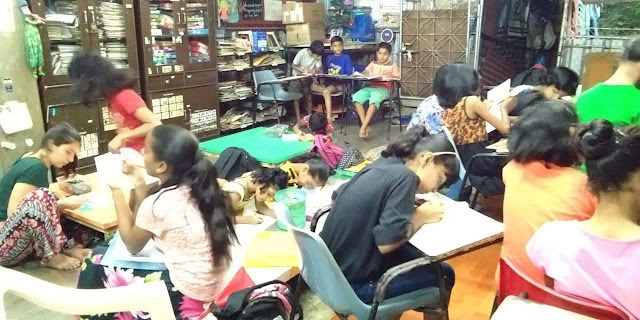 Karishma Agarwal: My second day at the Ngo was more interesting. I mingled along with more children and gave them a lot of basic knowledge. I taught them math’s like addition, subtraction, and multiply. 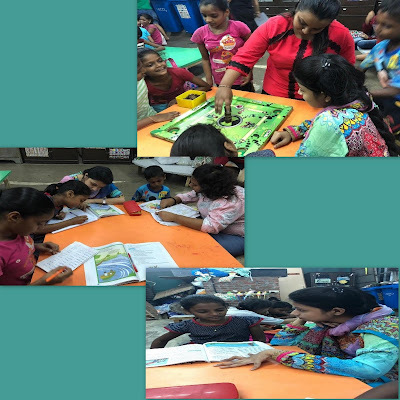 During the break time we taught them to solve puzzles and also played board games we reached the NGO at 5: 30pm.the children today were more energetic and had a lot of interest in studying different subjects. Doing social activities like every day is getting very interesting to me I am staring to like this routine. 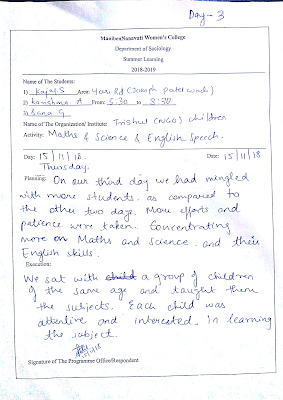 Sana: My 2nd day experience at trishul NGO was also good. There we reached by 5:30 to 8:30 we were separated with students. I was having two students who was weak with English so I took reading of English as well as dictation of them. They are nice the students were also nice, careful and energetic to read English. At 7:00pm game time started and we played puzzles carom and enjoyed this day. Sana Ghodke: My experience in TRISHUL NGO on 3rd day was also good. The day was amazing the children of my batch were very nice and cheerful. Today I taught them English math and science in English I took reading math I taught them tables and different addition and subtraction sums science I taught them transport chapter with the help of verbal explanation also taught them the importance of transport and how it is important in day to day life and also I improved their handwriting skills. The children were enjoying the session with me they also enjoyed when reading session was taken. At 7:30 the session got over and game time was started we played different games like passing the parcel, puzzle game, scrabble at the end we all danced together and it was a happy day for me in TRISHUL. Karishma Agarwal: My third day at TRISHUL NGO was also good. I became friends with a lot of children and the children were excited when they see us approaching towards them. They spoke to me about their day also shared with me their thoughts and told me about their parents and friends. During the break time various games were played the three of us mingled very well with the children. We also played passing the parcel and told each child to sing, dance, and to tell the poem other games were also played like scrabble, puzzle game etc. Today was a very playful and fun day. 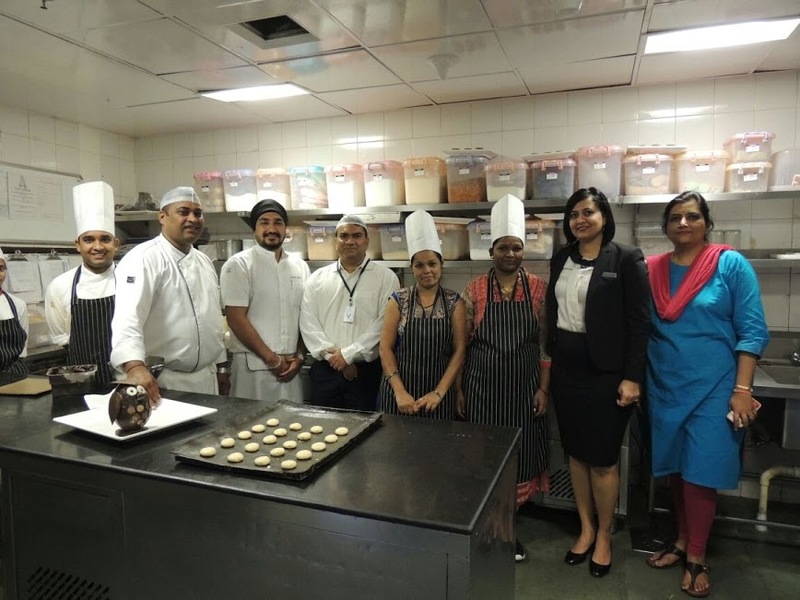 Sana Ghodke: My day 4 experience in TRISHUL was very nice the student of mine are really very nice. They are so energetic and they say give me this homework and that homework. They have become close and they enjoy with me so whatever work I allot them they do it happily. Today I did math division, algebraic expression, poems, tables. 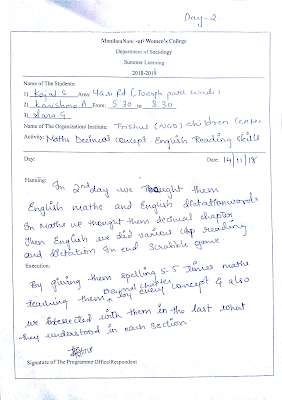 Really they are doing good job and practicing English with me as day are passing on I am trying to work more on reading and writing skills and as the day passes I am seeing the kind of improvement they are doing. It was a good day in TRISHUL. 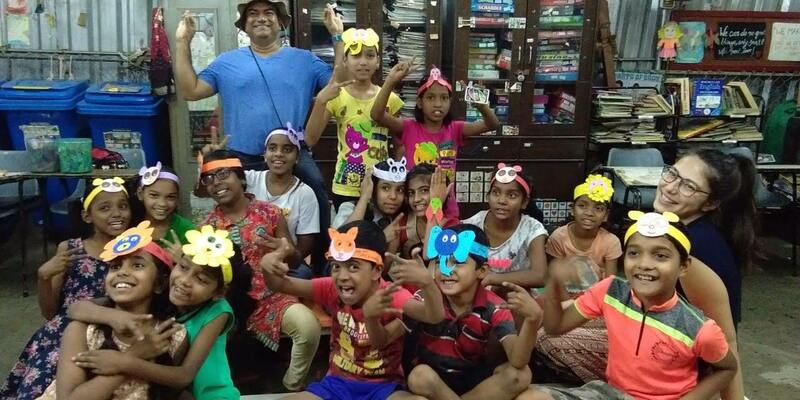 Karishma Agarwal: Every day at the NGO is a different day with different children. I introduced myself to new children they as well introduced myself to me. The children were cute and understanding. Their way of speaking and mingling along with other children was good. I tried to improve their English as their English was weak so mostly I concentrated on the subject English, by taking their dictation words, reciting poems, and reading chapters of English. During the break time all of us gathered together and played games with the children. I played with them business game. They were showing a lot of interest in the games and were happily playing. By 8:30 we were done and we said bye to the children with happy faces. Kajal: As days are passing in the NGO the students are becoming more and more engaging with me. Daily there is no planned activity in the NGO because every day the more of the students are mingling with me they love to study with me and play it is also said that unplanned things are the best ones and yes as I experienced at NGO unplanned activity doing with children always works better than planned. The students study with full motivation and whatever work is been like homework, reading they do it with full dedication. 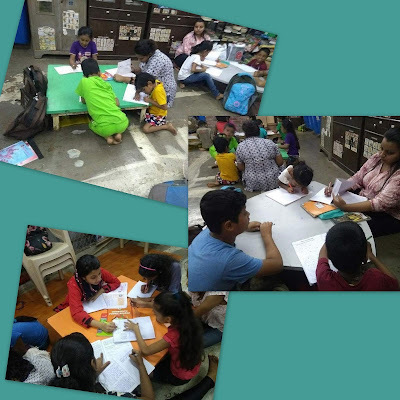 Also I did English reading and math with Marathi medium students making them do reading is the most important part. At 7:45 we played games today I make them play pick up stick so that their coordination and brains works more. At the end we told them bye with happy faces. 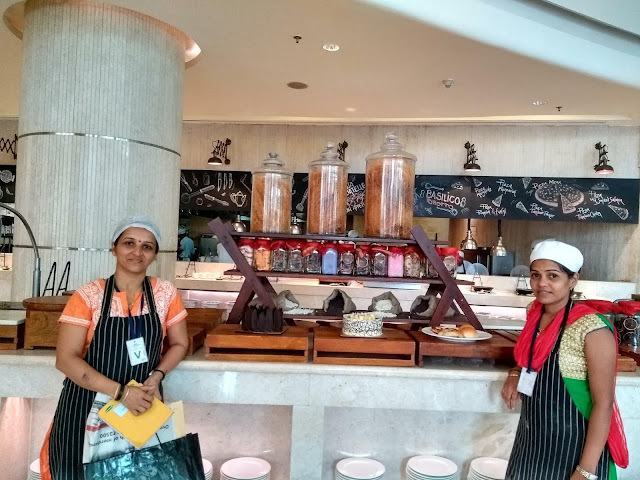 Sana Ghodke: My day 5 experience in TRISHUL was a good experience in that we have worked for helping the sir of NGO in distributing the product in each sack and recycling them. It was a nice experience to help them by separating it. Kajal: Day 5th was a quite a different day because today’s activity was all about cleaning and distributing. We gathered all the different types of products which were given by various agencies for the purpose of charity to the NGO and we separated all the items and stored them in a systematic way so that the area of NGO will look clean and it will look very spacious and easy for the women to work in the NGO so that they feel comfortable. Sometimes we have to give time to the things and keep it clean so that healthy and hygienic environment will maintain around us. Interaction with all the ladies at the NGO was a very kind experience for me. I learned many things from them. 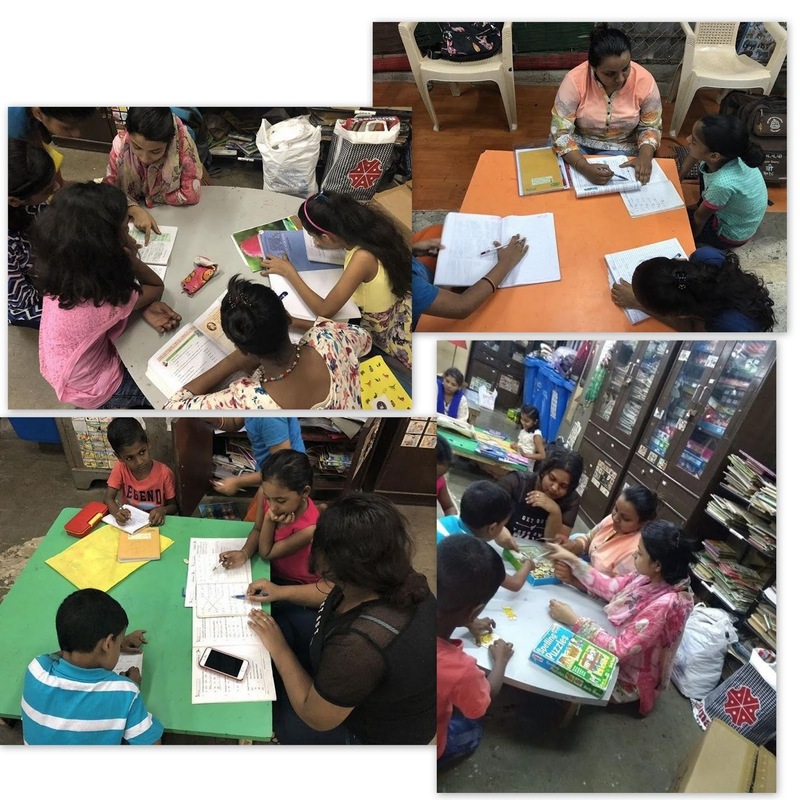 Karishma Agarwal: Today we helped the people at the main NGO office we opened up packages that needed to be recycled and many other ladies at the NGO helped us to open them too. Talking with those ladies and learning new things from them was a new experience for me. Those ladies were very kind and helpful. Kajal: Day 6TH was little bit creative as it was art and craft lecture. We taught children to make T-shirt bags out of old and unusable T-shirt so that they can used these carry bags in their day to day life. The children showed up their creativity very beautifully. The outcome of today’s activity seems to be nice the children used their creative mind and made the bag with full dedication. And the day ended with an energetic dance of some of the students. 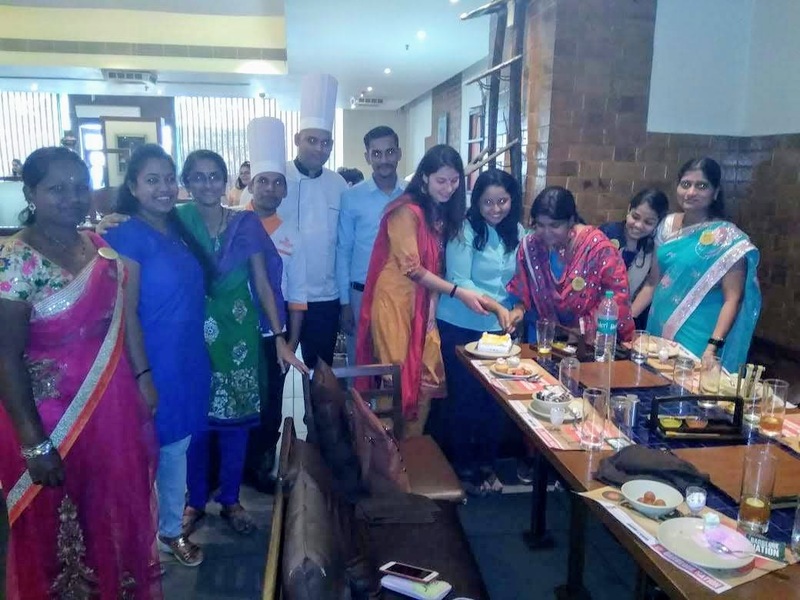 Karishma Agarwal: Today was a fun day as every Monday it’s art and craft day. We taught the children to make out of old T-shirts. They were quick to understand how to make and understand the concept of making the bag. We ended up seeing beautiful bags made by them. After that session we had a dance session between the children. All danced very gracefully and happily. 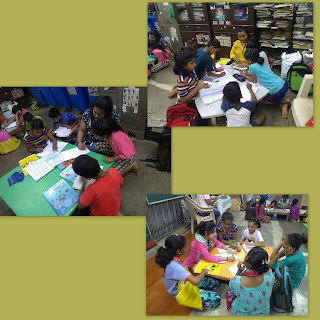 Sana Ghodke: My experience in TRISHUL NGO of 6th day was nice we had made T-shirt bag which was enjoyable the children were excited to see the bag they were actually doing it with spirit enjoyed the day. 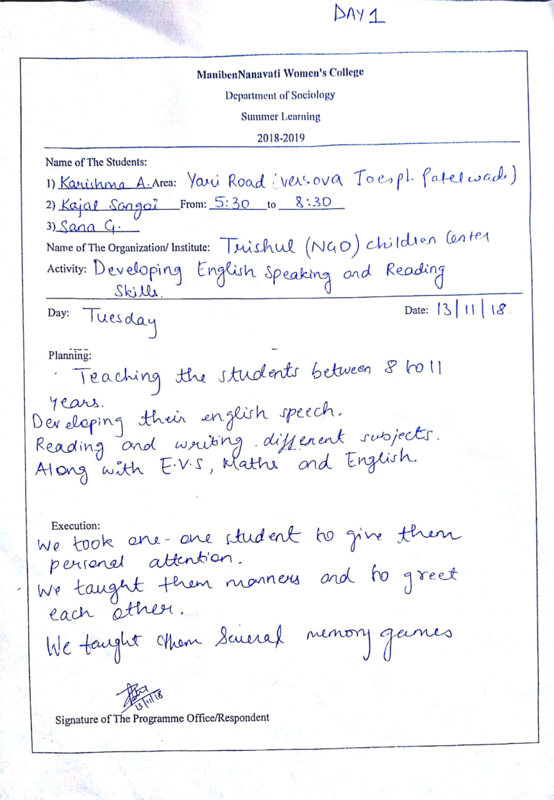 Kajal: It’s been one week working with TRISHUL NGO and today’s day was quite interesting because I got same class students which were of 4th grade. I basically focused on their reading and writing skills and also on the math subject as the days are passing by the students are getting more attach to me they everyday wait for me and study with me happily infect they themselves tell me to give them work and homework. 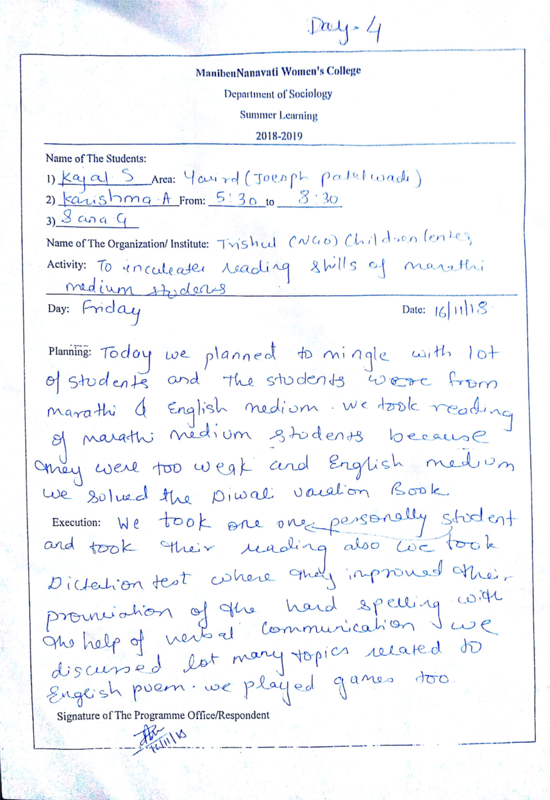 Also I have seen lot of improvement in their reading and writing skills. As days are passing working with the NGO students gives you more positive and motivational vibes we also played games and the end of the session told them bye with happy faces. Karishma Agarwal: Today I taught the children math and English. Concentrating more on English grammar by giving appropriate sentences to solve. Math, division, and multiplication sums were solved by the children. During the break I played with them games like puzzles and crossword. Carom was also played. and write. By 5:30 we started our class and we ended our class by 7:45 then we started playing games business game was the interesting game children played with full joy and we told them bye happily. Kajal Sangoi: Today was the 8th day in NGO I founded lots of difference in my students. They immediately came showed their homework and asked me their doubt. I had today many other new tiny and small students who I worked with today I usually took reading in the group I told all of them to read the one paragraph and told them to explain and also I gave them difficult words from the chapter. It was fun and enjoying day in the end we played games as days are to an end I will miss these kind of experience. 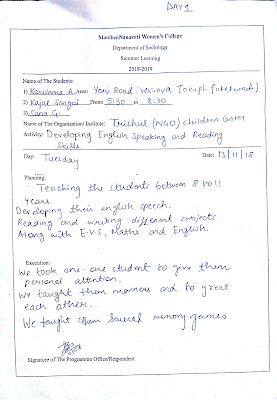 Karishma Agarwal: Today I asked the children to say some few lines about themselves. They spoke very nicely but their English was a little weak so I made them understand the difference between the words they spoke and how better it would sound when they say it. Dictation words from the story was taken by me. I also explained them opposite words and made them write it down. There were few children in my group of students were cute and understanding. Sana Ghodke: My 8th day experience in TRISHUL NGO was a good day today’s concept was different they were reading the story and explaining the story then we did math tables then a senior kg student was there with me today he was a nice student I taught him several new topics and told him to talk about his self. It was a great day. Kajal Sangoi: 2ND last day of my NGO I will miss memorable moments spending with the kids. Today I was very happy because I found something new kind of experience the children were waiting for me as they told me they like to study with me they don’t want any other teacher. I did math with them subtraction was taught and also word problems related to that. Then also today I did new thing which was I told them to read story and explain me the story in English they told them and I rectified their mistake and told them the correct way of explaining the story and how it would sound better. In the end of a session we played games and also they shared with me about their day and personal life. 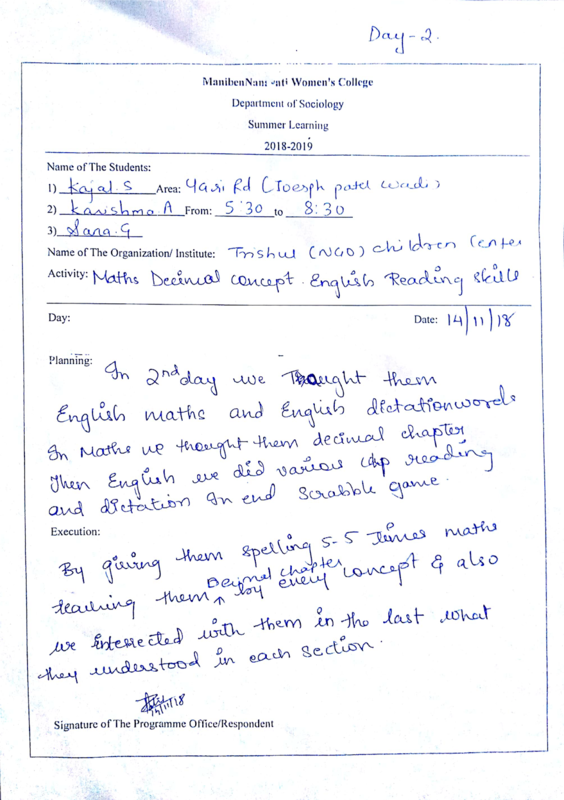 Sana Ghodke: My 8th day experience in TRISHUL was a good day today’s concepts were on English and math in English we did dictation words, reading and finding question and answers from the chapter then in math’s we did addition, subtraction, multiplication, division, and also talked about shapes. Then by 7:45 we played games x and o, sticks it was a great day enjoyed it. 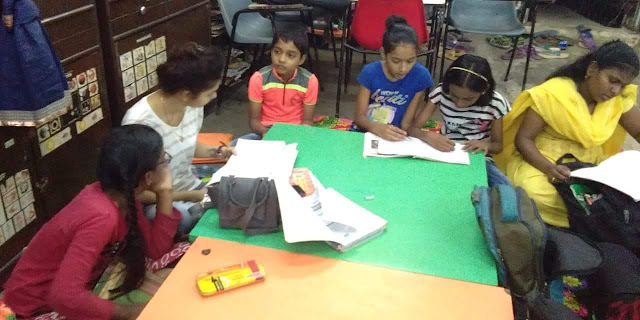 Karishma Agarwal: Today I sat around with new children and asked them to introduce themselves. They spoke nicely, I taught the English words which were difficult for them to understand and also explain them the meaning of it. Math also was taught to the 2nd standard children like addition, subtraction by drawing the item and telling them to count and add them. 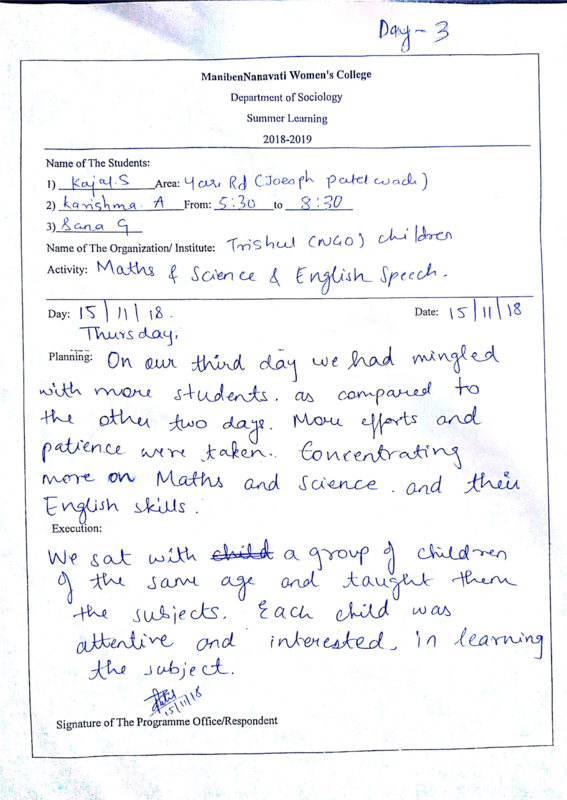 Kajal Sangoi: My last day of experience in TRISHUL was commendable it was a memorable moment we did studies for some time today like reading books, doing math , science, also the children told me teacher don’t go come ever, science, also the children told me teacher don’t go come every day to teach us also they took contact number with me and told me to meet soon in the end we played games I had lots of fun with them I also talked time at the end of session certificates were distributed from the head of the NGO and we distributes them chocolates food soft drink it was memorable moment and non-forgettable day. Sana Ghodke: My 10th day experience in TRISHUL was a last day. It was a great day we did English reading math’s dictation then we played games bingo, x and o it was a great day at the end of session we distribute them lots of snacks also certificates were provided by them and we clicked so many photos and told them bye with happy faces. Please donate books for children. 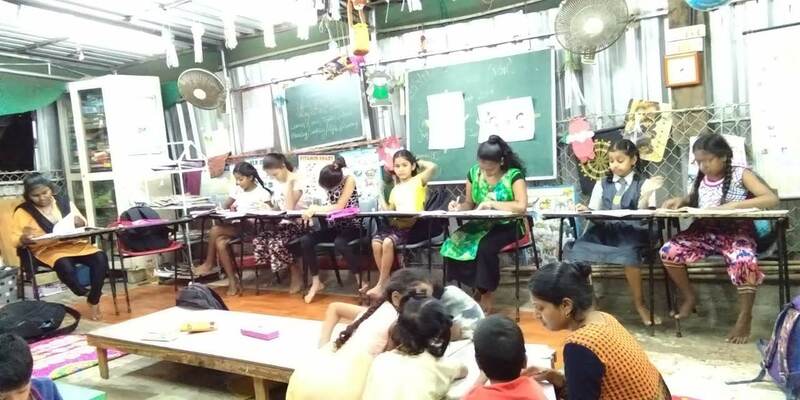 We have a free learning centre for Slum Children near Aaram Nagar, Versova, Andheri (West). Most these children come from economically weaker section of communities. We need book in all subjects (SSC Syllabus); both Marathi and English Medium, Note Books; School Bags; stationery etc. Kindly share this webpage link with any of your friends who may be interested in donating books or school stationery (new or old books in good condition). Timings for dropping books (1 pm to 5:30 pm) - Monday to Saturday.